Serving and keeping customers guarantees our existence. Our employees will provide quality service that meets or exceeds our customer's requirements. Our refrigeration system is designed to handle multiple commodities with multiple temperature setting. 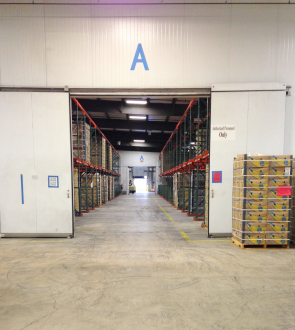 It has three main coolers, with temperatures ranging from 34°F to 58°F, to accommodate multiple commodities. In order to maximize our services, we also offer refrigerated trailers and containers for our customers. Further, our warehouse is equipped with a variety of forklifts, our specialty being the single-double forklifts, the squeeze lift, and the slip sheet lift. With these tools, we are able to provide our customers additional services such as shipping and receiving exports, repacking of damaged goods, and performing crossdocks. 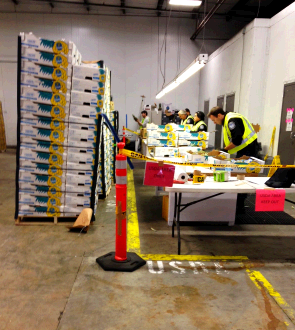 Channel Islands Warehouse is an authorized USDA inspection facility and is in the process of becoming the only CFS station between the Port of Oakland and the Ports of LA and Long Beach. The USDA and CFS inspections are performed at our facility, so there is no need to dray a container to another contracted warehouse for inspection, fumigation, or storage. Rooms are sealed to handle ethylene sensitive commodities. Fruit inspections can be arranged through our representatives at Decofruit. Warehouse ships out approximately 150 orders a day, with our average turnaround being 20 minutes. LTR and ripening services available. Channel Islands Logistics offers OTR, FTL and LTL transportation services throughout California, Arizona, and Nevada. 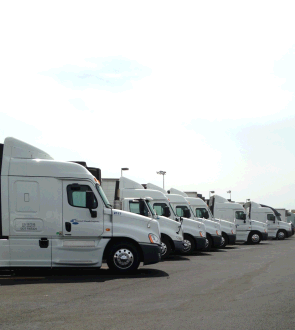 We currently operate 59 ARB compliant semi-trucks with 20 more on the way by the end of 2014. Our trailers are monitored by StarTrac. We have drivers going to and from the Bay Area, Central Valley, LA Market, Compton and Riverside on a daily basis and are experienced navigating through Southern Californian highways. On a yearly basis, Channel Islands Logistics drays approximately 15,000 containers from the Port of Hueneme. In addition to our refrigerated warehouse, we have approximately 26 acres of container and yard storage, with 300 yard plugs for loaded containers. We have a GPS tracking system which gives us complete visibility of what is in our yard. We have drivers who exclusively dray containers to and from the yard and warehouse, which allow our customers to maximize our refrigerated services by utilizing both the warehouse and yard. The containers in our yard are monitored and maintained through yard checks. Further, we have 42 additional yard plugs for loaded containers at our secondary location. Channel Islands Warehouse and Logistics houses a full service maintenance shop for trucks and trailers, servicing reefer units such as Carrier and Thermo King. We also perform maintenance and repairs for chassis, containers, and gen-sets and perform BITs and FHWAs. Empty or loaded trailer storage.